At Family Intervention Center, we have conquered many issues and turned many lives around. We have helped thousands of individuals and families in our 40+ years of service. Even though we have done so much, we’re not stopping any time soon. Keep up with all that we have going on by regularly checking out our blog! Congratulations to all of the big winners! Everyone had a blast and we raised a lot of money for a good cause. We had great weather and an even greater time. In 2015 we celebrated our 40th Anniversary. We have been helping people's family and loved ones, kids in need, and the community at large for 40 years. We love the work we do and we want to continue to best serve you! Here are some photos of our celebration! Family Intervention Center staff and board members are active participants in the the Annual Waterbury YMCA 5K race the Sunday before Thanksgiving. 28th Annual Youth Conference at Holiday Hill in Prospect – Middle and High School Students who are helping their peers as Peer Helpers and Mediators – Wednesday, May 18, 2016! Our 16th Annual Golf Classic is being held at Fairview Farm Golf Course in Harwinton on Thursday, June 2, 2016. This year’s hole in one is including a ford automobile in addition to the in-ground pool. Anyone interested in playing, may call the office at 203 753-2153. 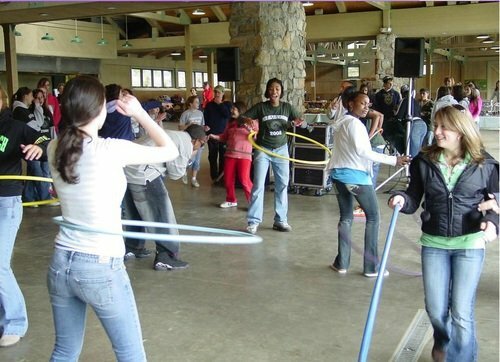 Our 24th Annual Youth Conference was held Tuesday, May 15, 2012, at Holiday Hill in Prospect with an attendance of 156. These are middle and high school students who have been trained as peer helpers/advocates and/or mediators. Helpers work in a one to one relationship with peers whereas mediators work in pairs, helping peer work through anger issues constructively. Our 12th Annual Golf Classic (June 7, 2012) at Fairview Farms was the very successful with 20 teams , 5 Corporate Sponsors, 17 flags, a Mulligan Sponsor, a Sand Wedge Sponsor and donations. We took in $19, 642.07 and realized a profit of $9,392.57. We participated in the Travelers Championship by selling discounted tickets and participating in Birdies for Charity for the fourth year and we came in third in the Bonus Birdies Bucks which realized an additional $2,500. This totaled $11,892.57. All proceeds support programming such as the Annual Youth Conference. 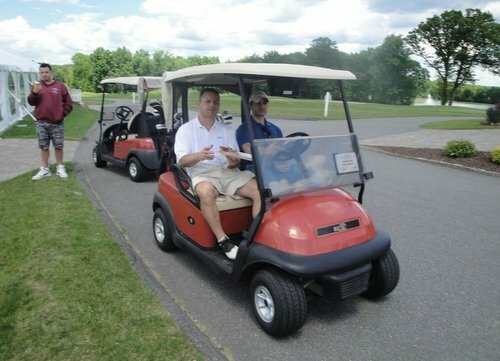 Our 13th Annual Golf Classic, being chaired by Anthony Guisto, is being held on Thursday, June 6, 2013, at Fairview Farms in Harwinton, CT. Interested parties may register by calling our office at 203 753-2153. First place winners get a week stay in Myrtle Beach, SC. A HOLE IN ONE may win a Gunite Swimming Pool, Premium Golf Equipment, Choice from Premium Electronics Package, Airline Tickets for Two. You may register by calling the agency at 203 753-2153 or email us at jfutschik@famintervention.com. Corporate Sponsors for our 13th Annual are: Naugatuck Savings Bank, Holiday Hill, Farmington Benefit Consultants, Inc and Family Counseling Center. Our President, Joe Futschjik, is running his very FIRST 5K road race on Sunday, May 12, 2013, supporting True Colors and again he has put together TEAM FUTSCHIK to run The Hole In The Wall Gang Camp's 5K race on June 22, 2013, in Stratford. You may support any of these fund raisers by calling Joe directly on his cell: 203 906-2604! Our Annual Youth Conference at Holiday Hill is happening soon! It will be benefiting "Kids Helping Kids." We hope to see you there. We did it, thanks to all of our amazing supporters! Our 13th Annual Golf Classic has been the most successful, all thanks to their generosity and support. The weather cooperated, the pace of play moved along consistently and there was great camaraderie. A good time and good people helped to make this a winning tournament. We sincerely thank our golfers and sponsors for helping us achieve our goal to “promote wellness through education, intervention and treatment”. Please know without your outstanding generosity and commitment none of this would be possible for our young individuals and their families. The winning team of Mike Watson (3rd win in 9 years), Steve Watson, Matt Cappola and Chris Spagnoletti shot 58 (14 under par). They were the tie breaker of 5 teams. Derek Bizier was closet to the pin and Lisa Bishop and Eddie Hill hit the longest drives. We are most grateful to our Circle of Friends, Sand Wedge Sponsor, Mulligan Sponsors, Flag Sponsors and friends, who so generously gave of themselves, prizes and donations. Special thanks to those who donated raffle prizes to make this a record breaking raffle, generating $1725. We look forward to sharing our 14th Annual Golf Classic on Thursday, June 5, 2014. Until then, have a wonderful and healthy year.